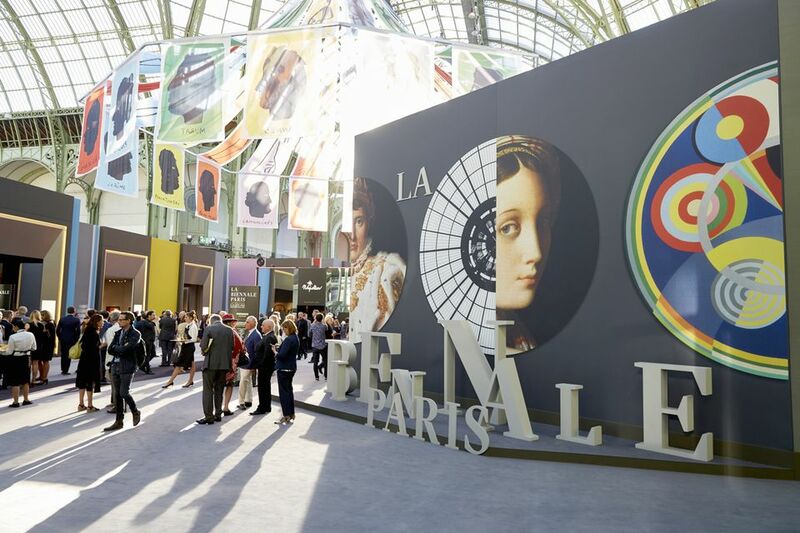 One stand is closed down in a vetting crackdown at the French art fair, which organisers say can return to its former glory if "dealers would stop bickering"
As La Biennale Paris (until 16 September) opened in the Grand Palais last weekend, exhibitor and observers held their breath. The contrast with the prestigious art fair even a decade ago was striking, with only 61 exhibitors this year, two thirds of them French. On Monday, the First Lady Brigitte Macron toured the stands for three hours, perhaps a salve for the dealers. But no significant historical work or masterpiece was unveiled. Paris’s Steinitz Gallery has the most luxurious booth, but it is missing some of the treasures shown last summer at Masterpiece in London. Their display in the Grand Palais includes a laquer coffer and a series of armchairs designed by the 18th century furniture maker Jacob-Desmalter for the Parisian palace of the French "iron general" Marshal Louis-Nicolas Davout’s widow. Interestingly, antique chairs feature prominently around the fair, as if the market wishes to forget about the scandal of forged seats sold by French dealers to Versailles which shook the Biennale two years ago. Charles Hooreman, a new exhibitor, shows a Louis XVI chair from the Château de Compiègne staged in a sort of sacristy. The antiquarian book specialist Camille Sourget has brought a Venetian book which was made for the Doge in 1597. Philippe Perrin presents a handsome 18th century terracotta sculpture; the Asian art dealer Jacques Barrère, some impressive Buddhist statues; and Gallery Yves Gastou has a turntable among its display of 20th century design. However, Alexis Bordes, who is showing a portrait of Louis XV’s mother, Marie-Adélaïde of France, is the only significant exhibitor of paintings. “It is a transitional edition,“ he says, but he is confident the fair will return to success: “There is a new generation, I can feel the energy coming." Nevertheless, the organisers declined to disclose attendance figures over the weekend and no announcement has been made as yet of any important sales. 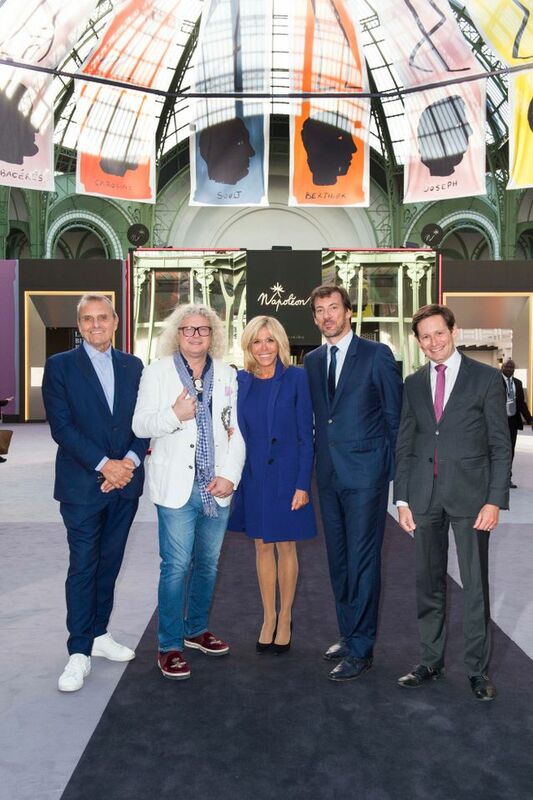 Steinitz says the fair has obtained from the Grand Palais to push the opening back by one week next year and by two weeks in 2020 (from 2021 until 2023, it will have to move to a temporary site along with Fiac, Paris Photo and other Grand Palais events while the building undergoes major renovation). One booth, that of M.F. Toninelli Art Moderne from Monte Carlo, was closed down because the objects were not accepted by the vetting committe. But Bernard Castaing, the head of vetting, says they had far less difficulties at the fair than in 2019. “Obviously, the dealers are more and more responsible since the control got tighter at the fair last year“ he says.